The Consumer Awards are unique in the way that they are the only set of categories in which the winners are decided by the general public. Sponsored by icelolly.com, these awards recognise examples of the most innovative and exciting work in digital travel, the awards present an accolade and an evening like no other in the industry. This category of awards is open to marketing campaigns in a range of disciplines. We’re looking for best practice in the sector whether it’s agencies running campaigns on behalf of clients, the work of in-house teams or a mixture of both. In this category, shortlisted entries will be required to pitch their submission live to the judging panel. This new award for 2018 will go to the campaign that launched a new travel product or brand into the market. We’re looking for an original concept, clear evidence of who the brand or product is aimed at and vision of how to reach those people using digital channels as well as clear evidence of the impact of the campaign. This award seeks to honour travel firms which put good quality content at the heart of their strategy to inspire customers throughout their dreaming, booking and experiencing journey. We’re looking for original and creative use of written, visual and audio content whether professionally produced or user-generated or both. Particular notice will be taken of advances and innovations made within the last 12 months. This award will be given to a digital marketing agency and/or travel organisation which has excelled using social media channels to build brand affinity, hone their marketing messages to key target groups and drive loyalty and advocacy. Particular notice will be taken of advances and innovations made within the last 12 months. This award will be given to the agency or brand behind the multi-channel digital marketing campaign that is considered to have had the biggest impact. We’re looking for an integrated campaign that combines more than one or all of the following channels: online display, search engine marketing, influencer marketing, social, mobile, text, retargeting, content and voice. Particular notice will be taken of advances and innovations made within the last 12 months. This category of awards seeks to honour firms and individuals that sit between the supplier and the end consumer whether they are the ultimate merchant of record or not. We are looking for best practice among those companies which excel in linking the customer to the most relevant product that meets their requirements. This award will be given to a meta search website that has achieved the greatest impact in its market during the entry period. This can be based on improved design features, an increase in traffic, new channels or partnerships, or the introduction of innovative tools and functionality. This award will be given to the supplier or aggregator in any travel sub-sector (aviation, tour operator, tickets and attractions, cruise, accommodation, holiday add-ons) that has done most through technology to enhance its B2B technology, connectivity and access to product for third parties during the entry period. This might be introducing improved design features, new channels or partnerships, customer service functionality, or the introduction of innovative tools, API connectivity, white-label interfaces, and other applications and functionality. This award will be given to the travel agent website that has achieved the greatest impact in its market. This can be based on improved design features, an increase in traffic and brand recognition, new channels or partnerships, or the introduction of innovative tools and functionality. This award is to mark the growing influence and effectiveness of the travel blogging community to not only inspire travellers to think about and plan their travel experiences but to actually go on to make the booking. We’re looking for passion, enthusiasm and an engaging and captivating style for presenting content, both written and visual. We’re looking for travel’s stand-out third-party marketing platform regardless of what specific discipline it operates in. Flash sales, database and email marketing, call generation, social networks, closed user group sale sites are all heavily used by travel firms seeking high quality leads, along with the dominant search engines and price comparison sites. So which is the most effective and offers the best value for money? This category seeks to award the technology developers and systems suppliers to the travel industry. Judges will be looking for how shortlisted firms have responded to how the industry’s needs are changing to find the best of breed in what is always a popular awards category. This award will be given to the technology provider or in-house technology team responsible for the best example of design and functionality developed to address customer requirements and enhance their digital experience. Judges will be looking for a combination of outstanding aesthetics simple usability. Particular notice will be taken of advances and innovations made within the last 12 months. This award will be given to a technology provider and/or travel organisation considered to have developed the most innovative software or hardware product for the travel sector. The winning innovation is likely to be new and therefore will be relatively untested in the market, but has gone through proof of concept and is being used in a live, test or pilot environment. This award will be given to an individual technology product which is considered to have made the biggest impact in the market. This winning product in this category is likely to be already established in the sector but has seen particular growth or impact during the entry period. It could be a traditional software solution, selling/tour operator platform, Software as a Service (SaaS) or plug-in feature or application. This award will be given to the travel technology provider which is considered to have progressed most in its field in the entry period. This might be a huge legacy multinational which has modernised its offering or small niche supplier which have seen success introducing a new or innovative concept. This category is open to companies of all sizes whether providers of traditional software products, selling/tour operator platforms or Software as a Service (SaaS) or plug-in features and applications. This award will be given to the technology company or in-house technology team judged to have used modern technologies to make the most intelligent and successful use of data in its business to tailor its clients’ messages to their target market. Judges will be looking for innovative techniques in both the collation and analysis of data and for success in exploiting the insights it offers, while keeping with new data protection regulations. Particular notice will be taken of advances and innovations made within the last 12 months. This award will be given to a technology provider or in-house technology team within an organisation which has developed and launched a leading mobile service during the entry period. We’ll be looking for entries that show innovation in this fast-developing and increasingly crucial channel and that demonstrate successful execution of a pre-defined, strategic approach to mobile. This category is all about how the travel industry uses digital to present, promote and retail its wares to the public. We’re looking for best in breed in the main industry sub-sectors whether you are a tour operator selling direct to the public and/or via agents, third party retailers selling other people’s product, metasearch or other lead generator, a review or information site or a sharing economy network. The winners will be the websites or mobile app judges agree do the best job inspiring, informing and merchandising to consumers. This award will go to the travel technology provider or corporate that best demonstrates its expertise and success in the business travel sector. Judges will be looking for the website, booking platform, travel and expense management system or mobile app that stands out from the crowd in its approach and excels in providing the corporate customer with exactly what they want. This award will go to the operator, specialist agent or review and information site that best demonstrates its expertise and success in the cruise sector. Judges will be looking for the website or mobile app that stands out from the crowd in its approach and excels in providing the customer with exactly what they want. This award will go to the operator or third party specialist retailer that best demonstrates its expertise and success in the tours and attractions sector. Judges will be looking for the website or mobile app that stands out from the crowd in its approach and excels in providing the customer with exactly what they want. This award will go to the airline or third party specialist that best demonstrates its expertise and success focusing on selling or providing information about flights. Judges will be looking for the website or mobile app that stands out from the crowd in its approach and excels in providing the customer with exactly what they want. This award will go to the tour operator or travel agent website that best demonstrates its expertise and success in multi-component holiday retailing whether traditional packages or more flexible dynamic packaging. We’re looking for innovation and ingenuity in how consumers are inspired to search and book their perfect trip. This award will go to the hotel operator, third party specialist, holiday rental or review site that best demonstrates its expertise and success in the hospitality sector. Judges will be looking for the website or mobile app that stands out from the crowd in its approach and excels in providing the customer with exactly what they want. This award will go to the taxi, car hire or transfer operator, aggregator or booking app that best demonstrates its expertise and success in the ground transport sector. Judges will be looking for the website or mobile app that stands out from the crowd in its approach and excels in providing the customer with exactly what they want.  This award will honour the people behind the technology recognising outstanding examples of technology teams in travel and their work over the last 12 months. It could be an in-house team or an agency, but entrants will demonstrate the ability to use their technological know-how and expertise to solve key issues for their clients or parent company and deliver ROI. Judges will be looking for best practice in project management, an ability to deliver to required KPIs, on budget and within timeframes and even to exceed return on investment expectations. As always additional credit will be given to entries that demonstrate an innovative approach that has really made a difference. This award will go to the travel start-up which has begun operations within the last two to three years and which is judged to have the best chance of establishing itself in the travel industry.